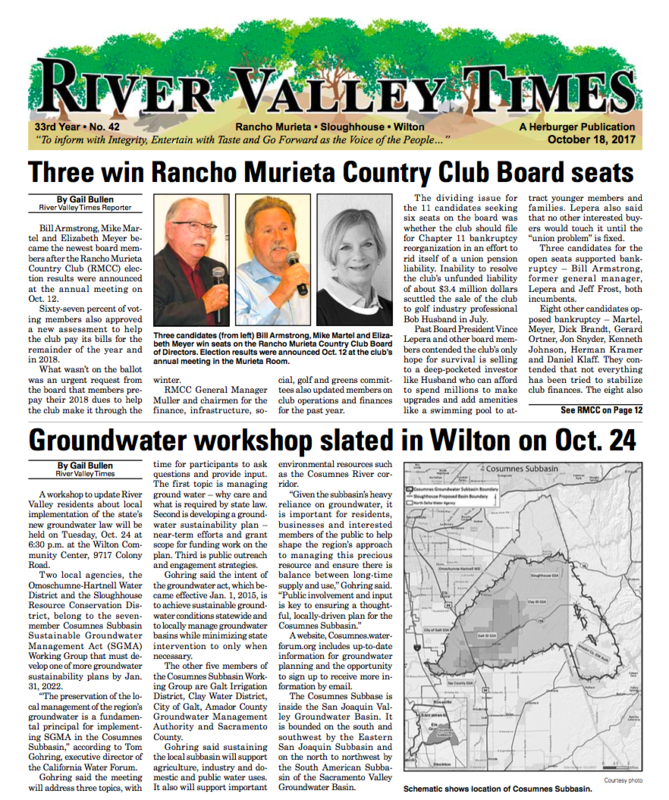 A chance to provide input on DWR’s flood-managed aquifer recharge (Flood-MAR) activities will be available during a workshop and webinar session in Sacramento on Aug. 30. Flood-MAR is a resource management strategy that uses flood water to recharge groundwater aquifers. The emerging strategy will help improve water resources sustainability throughout California. News and updates are available by subscribing to the Flood-MAR Listserv. This entry was posted in Uncategorized on August 9, 2018 by Julia Golomb. This entry was posted in Uncategorized on January 5, 2018 by Julia Golomb. This entry was posted in Uncategorized on October 27, 2017 by Julia Golomb. This entry was posted in Uncategorized on September 1, 2017 by Julia Golomb. 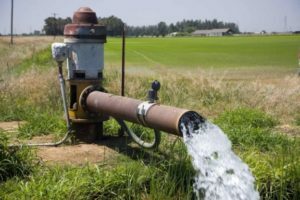 With both the level and quality of groundwater declining in alarming fashion, Water Forum efforts since 2000 have helped stabilize and safeguard the region’s underground aquifers. Despite the Sacramento region’s unique access to two major rivers, more than half of the area’s water supplies come from groundwater. 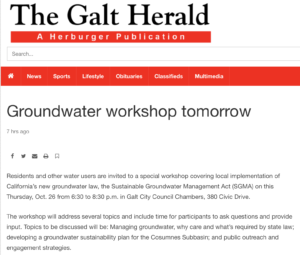 Water Forum members agreed to establish a comprehensive program to manage these supplies in a way that would control groundwater contamination and increase conjunctive use between groundwater and surface water supplies. Key to these efforts was first developing governance structures for the three sub-basins (north, central, and south), along with agreed-upon annual sustainable yields. 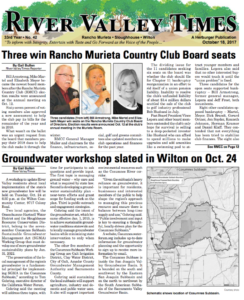 All three sub-basins have implemented groundwater management plans with specific actions needed in each area. This entry was posted in Uncategorized on March 23, 2017 by wateradmin. © 2019 Cosumnes Groundwater. Use of this website subject to Terms and Conditions.